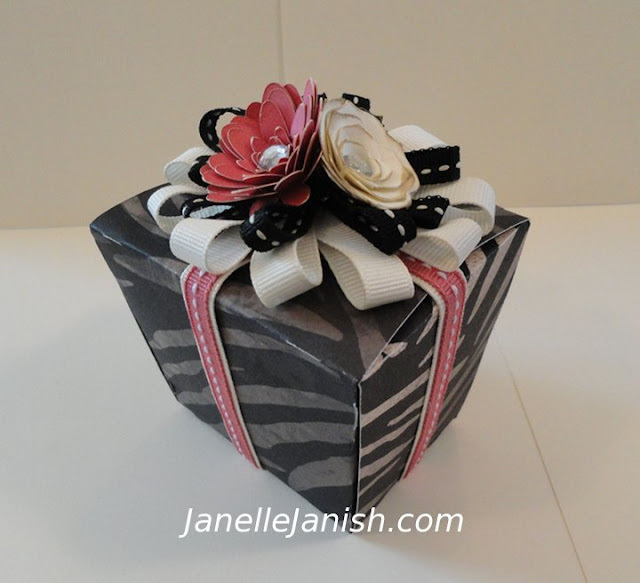 This cute zebra print box was made using the Cricut Art Philosophy cartridge and the Roxie Level 2 Paper Packet. I've said it before, but I'll say it again, I love that zebra print paper so much I wish I could buy it in bulk! 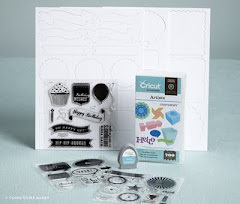 The box itself was cut using the chinese take-out box pattern on the Cricut Art Philosophy cartridge. 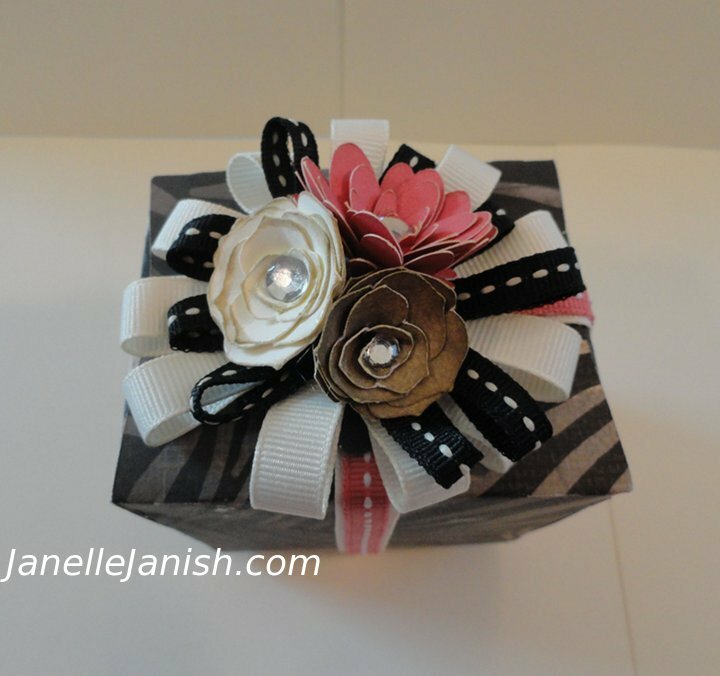 I then folded it up, filled it with some goodies and glued the box together with glue dots. The ribbon on the sides and top are some retired CTMH ribbon that I happened to have in my stash. I made little loops out of short strips and adhered them to a Black card stock circle with my hot glue gun. The flowers were cut using the Art Philosophy cartridge as well. I inked the edges a little before I "wound" the spiral shapes into flowers. The flowers are all accented with CTMH's self adhesive Clear Sparkles. This is so stinkin' adorable! Love all your recent Studio J LO's, too!